A trip to the Queensland Art Gallery or the Gallery of Modern Art usually brings with it the happy dilemma of deciding what to have for lunch in South Bank. Our recommendation for your next visit: GOMA Restaurant, recent recipient of two chef's hats at the Good Food Guide Awards. The fitout is simple, not just providing a frame for the view but a blank canvas for the beautiful-looking dishes. Friendly waitstaff pre-empt any questions about the menu you may have. The current menu is pleasingly cohesive: clean flavours with lots of lean proteins, an abundance of native ingredients and creative plating feature throughout. It would be a terribly obvious cliche to describe the dishes as works of art; however, in keeping with their location, the presentation of the food is modern and unabashedly arty. It is hard to smother a goofy smile when presented with the dessert of wattleseed custard, Daintree chocolate paint and Daintree vanilla curd (to describe it here would ruin the surprise). 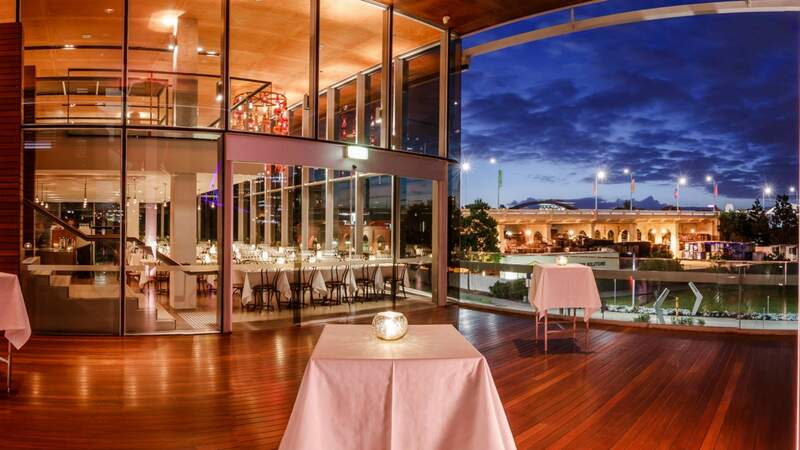 Two-course and three-course set menus are offered (and are good value), as well as a seven-course degustation. The food not being heavy, you needn't fear leaving the restaurant too full, though, you always have the option of walking it off by taking a stroll around the gallery.